The convergence and development of ICT pushed forward the paradigm shift of innovation which lead to further innovation in governance. 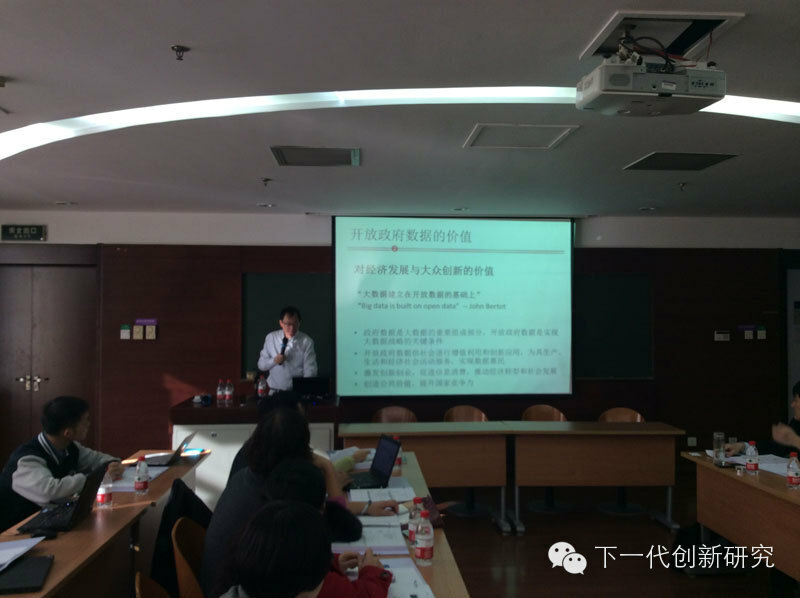 "Government 2.0: Governance in Perspective of Innovation 2.0" seminar is held at Tsinghua University from 14th to 15th November, 2014. 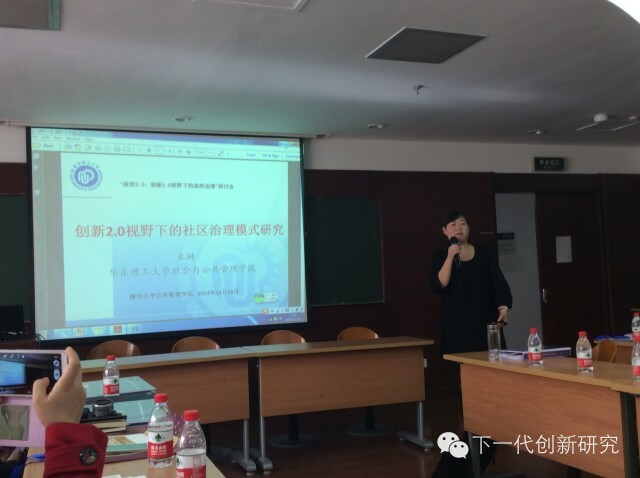 E-Government research academia across Chinese Universities, including Tsinghua University, Peking University, Fudan University, Nankai University, Wuhan University, Huazhong University of Science & Technology, etc., jointly launched this seminar. 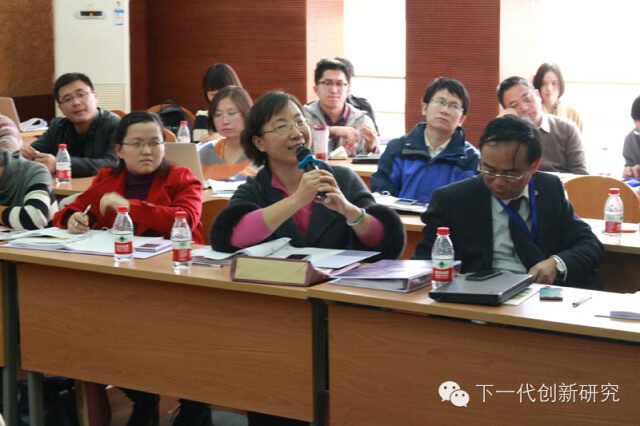 This seminar takes Online to Offline style, and has invited e-government practitioners and researchers to discuss the governance innovation in the era of Innovation 2.0. "Government 2.0: Governance in Perspective of Innovation 2.0" Seminar includes four parts. The first is three academic paper presentation sections: Government Innovation, Social Governance, Micro Government and Smart City. 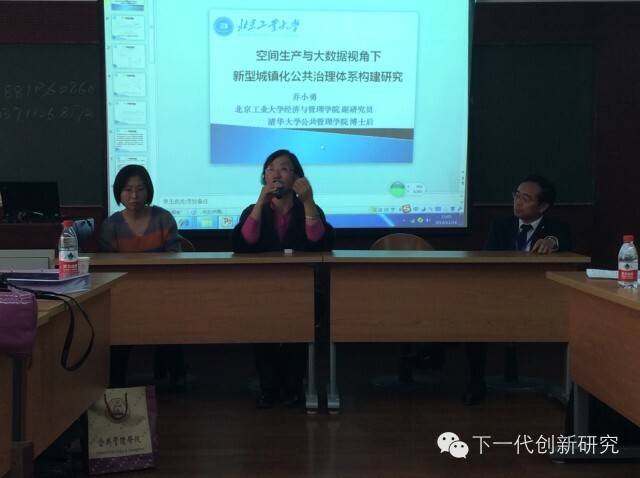 The Second part is Round table discussion on "The Academic Community of E-Government in Perspective of Innovation 2.0". 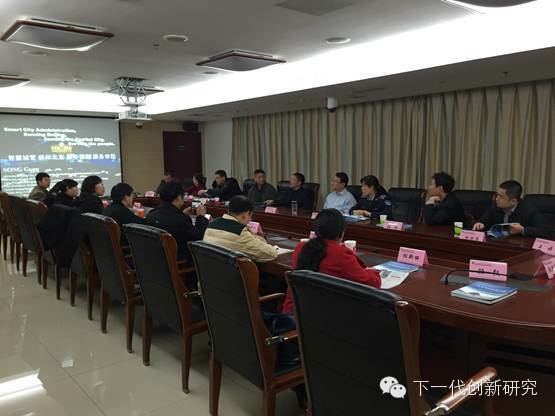 The Third part is Government 2.0 Case On-Site Visit and Discussion. 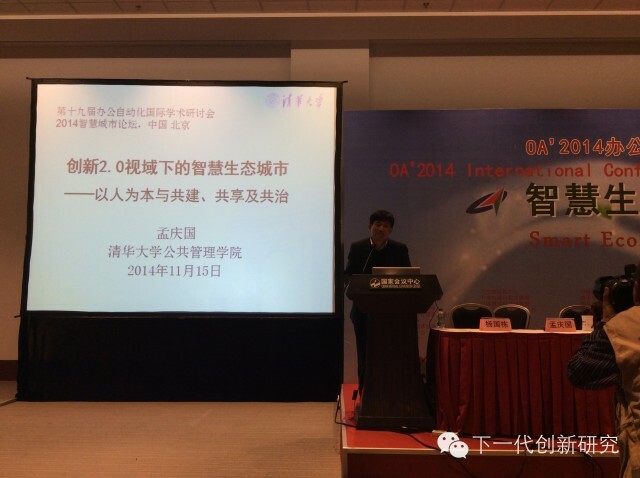 The fourth is the Discussion of Smart Ecological City in the Era of Innovation 2.0 at the OA Conference Forum. 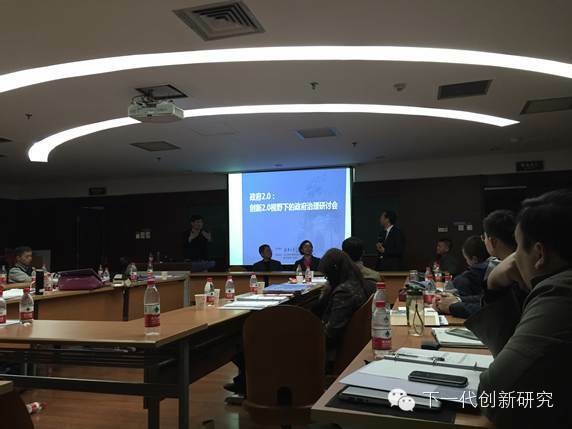 Professor Qingguo Meng, Secretary General of School of Public Policy and Management of Tsinghua University, and laso Director of E-Gov Lab of Tshinghua University, addresses this Seminar. 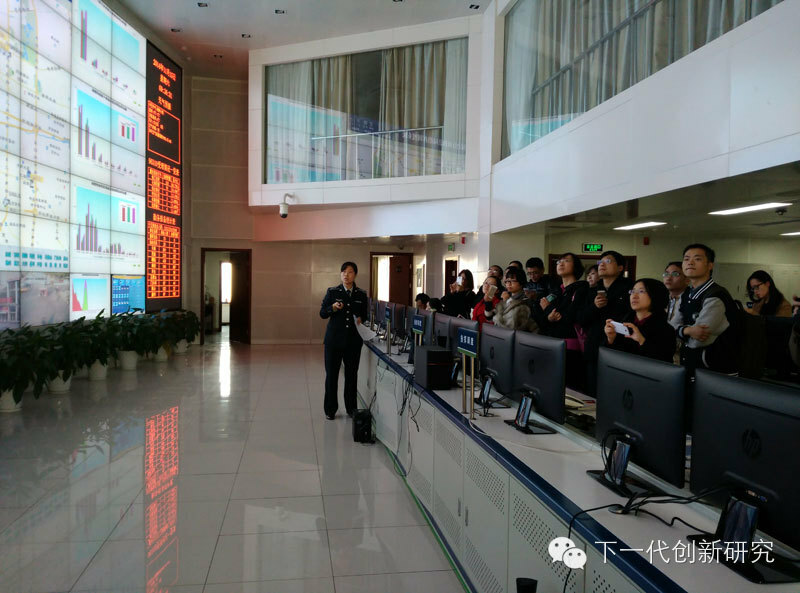 He argues to take advantage of the new generation of ICT and next generation of innovation in a knowledge-based society to push forward the research and practice of e-government in China. Government 2.0 is the government morphology in the era of Innovation 2.0, which is enabled by the new generation of ICT. 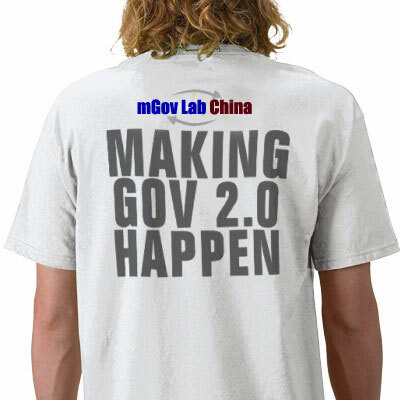 Government 2.0 is government as a platform which is featured by user innovation, open innovation, co-innovation and mass innovation. It shapes public value and creates unique value for each citizen. It marks a paradigm shift in Government from a manufacturing paradigm to a service paradigm. Dr. 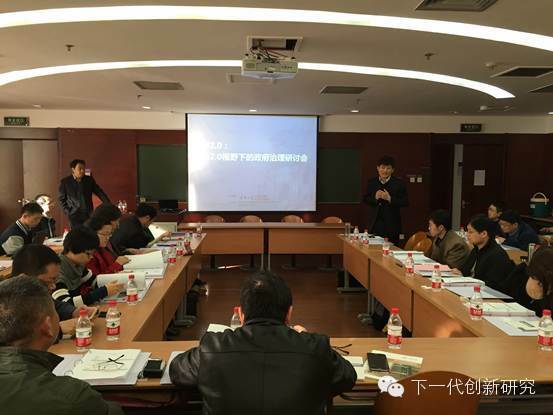 Gang Song, Director of mGov Lab China presented the case of Government 2.0 in Beijing: Smart City Administration based on "5 in 1" Internet of Things Platform in Perspective of Innovation 2.0. He specially shared the practice of "I Love Beijing" Government Wiki and APP and discussed about the transforming of the role of ICT as enabler of dialogue and discussion to the role of ICT as enabler of action and creation, the the transforming of role of ICT as enabler of deliberation to the role of ICT as enabler of collaboration. He argues the new opportunities of collaborative democracy in perspective of innovation 2.0, and argues government 2.0 as a platform, as well as a key player in forming the innovation ecosystem for user innovation, oepn innovation, co-innovation and mass innovation. Technology innovation is an emergence out of the complex interaction of the actors and elements of innovation. It is also the outcome of the double helix structure of technology development and application innovation. The emergence and convergence of ICT enables knowledge-based society, dissolves the boundary of traditional science labs and further pushes the transition of technology innovation mode to Innovation 2.0. 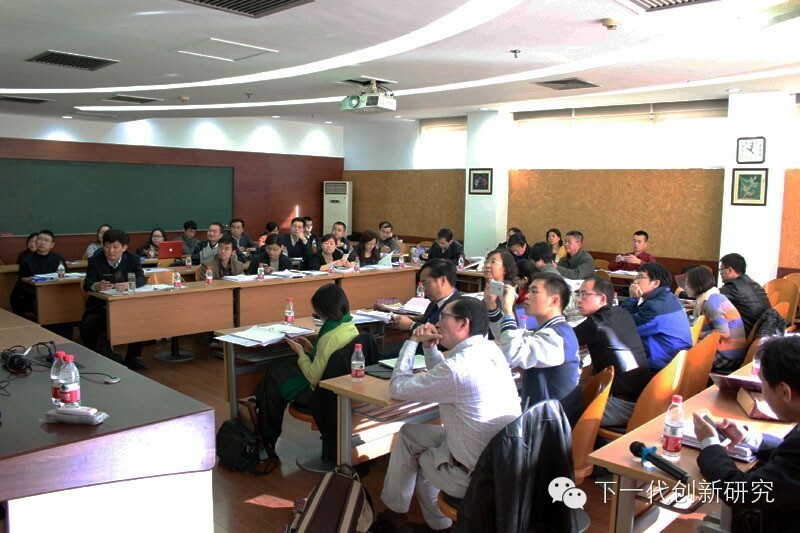 "City as an Open Mass Innovation Space: New Approach to Smart City in Era of Innovation 2.0"( Keynote Report at the eGovernment Summit China 2017 held at Peking University) is invited to be published by the journal of Office Informatization for the 19th Congress of Communist Party of China with an editorial "New Frontiers of Mass Line in Era of Innovation 2.0 Drives Vivid Practice of Socialism with Chinese Characteristics".